Formerly a post entitled, "The Charismatic Storm Approaches," but retitled due to frequent updates and several hundred visists. There are two things I am certain of in my lifetime. One of them is a second split within the Southern Baptist Convention between the Traditionals and the Reformed. It's just a matter of a couple of decades (possibly more, possibly less....and it appears it may continue heading in that direction at next year's SBC annual meeting!). The other is a "storm" that is brewing and is bound to bring a spectacle between Reformed brothers, some charismatic and some not. The battle lines are being drawn between cessationism and non-cessationism (also known as continuationism). I have decided to call this 'storm' a theological pillow fight. I've posted on this before, and I have to say that the Lord sovereignly chose a strange time, at least in my life, to point me towards charismatic theology. Adrian (see his latest post here) and David may have inadvertently started it all by sharing in a friendly e-debate on this last year, if my memory serves me correctly. See Adrian's post here, and David's here (and his update here). Phil Johnson is doing a little pillow-fluffing for this fight in his present series on prophecies. 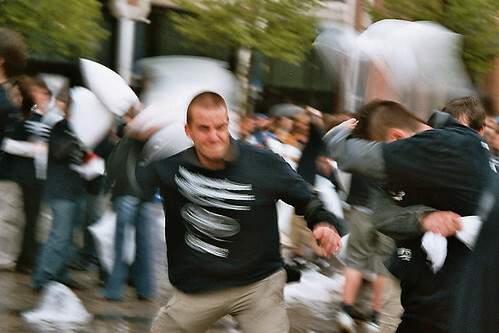 My e-buddy John, at Blogotional, has commented on the pillow fight. Chris Roberts at Musterion sees it coming. Tim Challies has also simulated some strong wind effects from the swing of his pillow in his recent opinions on Sam Storm's new book. I've been waiting on two other e-buddies, Dan Edelen and Matt Self, to weigh in pretty soon. What's taking so long guys? Oh, you're probably thinking through it all a little more carefully. That's what makes you guys smarter! Mark (at Word and Spirit) and David Bish (at Bluefish)! Got anything to add to all this? I'd be interested to hear about it! The beauty of this 'fight', however, and the spectacle it will bring will not be that of damage and death, broken necks and sore backs, bloody noses and migraine headaches. No, this is a Christian battle, where most of those forming the 'battle lines' are Warnie Award Winners! That means we desperately love each other and are committed to each other to the death, and not primarily to our theological positions. In other words, I'd die for Phil Johnson or David Wayne before I'd die for my charismatic convictions. I love them more than I love my theology, though to be sure, it is entirely my theology that drives me to think and live this way! I actually look forward to this engagement, and I do not look forward to the former one in the Southern Baptist Convention (though now being removed from it I can watch it from a safe distance). Watch and be amazed as the Lord brings charismatic and non-charismatic, reformed brothers together to debate and discuss. The result will be nothing less than the ones that occurred between MacArthur and Sproul years ago over credo versus paedo baptism - eternal friendship rooted in the cross and advancing for the kingdom of God. As for me personally, I've expressed my journey toward the charismatic in "A Door to the Charismatic," an article of sorts which I posted on the General Discussion Forum at Challies.Com. The argument for the charismatic, at least for me personally, is theologically rooted in the gospel, a theology which I will readily admit governs much of my exegesis at the outset. I'll have more to say on this later. A new blog I hope to read more often is Chris Hamer who has stuck his oar in the water on this issue. It's a passionate read and further proof of the heart behind both sides of the debate. Another whose comments on Pyromaniac I've enjoyed is Jeremy Weaver. He rustles the leaves a bit letting us know where he stands on this issue. Further, Adrian Warnock cites a part of my post above in his most recent post, "Here's praying that the charismatic vs. cessationist debate will enhance our blogging community." A favorite read of mine is Brad Hightower at 21st Century Reformation. He blogged today on "Reformed and Charismatic: A Balanced View." In my opinion, Brad makes some serious headway in seating the two parties closer together at the same table. Thanks bro! Finally, one of my dearest friends, Chris Pixley (at Pix from the Pulpit) promised me on my mobile phone not more than forty-five minutes ago that he promised to weigh in soon on this issue. Bring it on, bro! We'd enjoy a new post or two! Matt Self, at Gaddabout, finally weighed in, though he intimated below in a comment that he didn't have much to say. Thanks Matt. I'd like to personally say that your explanation was perhaps the most succinct and well put and well documented to date. That's what makes you a great journalist! Be sure to read the entire post for links throughout that are especially helpful. Dan Edelen (Cerulean Sanctum) also responded to my silent pleas! 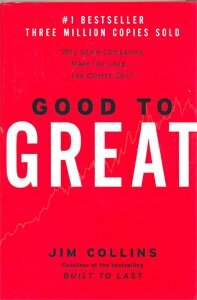 He cites his most popular post from a couple of years ago, another 'must read' if you're a charismatic. But the most recent post is by far the most admonishing and edifying to charismatics. If I had some kind of award for the best post on the subject so far, it would be this one. Thanks Dan. You're always an encouragement to me personally! David Wayne (the JollyBlogger) posted version 2.0 of his issues with non-cessationism. Thanks David for being willing to host the debate and referee it! Though he seems certain that this debate has settled into a discussion, John Schroeder (Blogotional) seems to turn the flame up ever so slightly. By 'well meaning' am I getting marginalized? Is all this eatin' away at you, bro? Jeremy Weaver (Doxoblogy - should that have two "g's"?) gives a fantastic and concise explanation of his understanding of prophecy. A great read. Adrian! You think I've overstated the case on this debate? Would you be willing to reply with how, because I want to be accurate in my assessment. Thanks. Dave Bish (Bluefish)! Thanks for posting bro. I love the "I want to's" at the end of your post. It was like an eight o'clock chime from the town hall belltower. I'm new to Paul Huxley (no relation to Aldous, I trust), the Rock Badger. His questions are simple, straightforward, biblical, and therefore most worthy of a deeper consideration than they have traditionally been given. In my opinion, it's time to stop answering these questions with the traditional appeal to (1) church history - e.g. some of the gifts, interestingly enough, seemed to have die off during the second century of the early church; or (2) the progress of the NT or close of the canon argument - e.g. the later the NT letter, the less often we find reference to the gifts...to the point that when the canon closes, so do the specactular gifts. Oh I want to tackle that last one so bad....but this is not the post for it. A new post Technorati pulled for me is entitled, "The Gift of Cessation: An Introduction" written by Pastor Shaun Nolan. He writes, "Is it possible the Paul was saying something to the Corinthians that no longer applies to us today? That is the question that we must ask before we assume 1 Corinthians 14:39 is talking to us. If we do not ask this question, we will end up blindly reading and believing all sorts of nonsense. Shall we also expect the sudden vocalization of pack mules? That is in the Bible, is it not?" Ouch! So if we've asked the question and still answer 'yes' are we blind and nonsensical? The comparison in the argument doesn't help the argument at all, for the Bible nowhere gives commands to mules, pack or otherwise. The problem with the argument lies in the nature of the testament under observation. It's the New Testament, written for the church...a church in all nations of all ages. While there may be debatable material in these letters falling under the category of debatable cultural applications, surely the command to pursue spiritual gifts is neither cultural nor debatable. I trust the argumentation for cessationism will become readily and apparently more strong. Kyle French (Neumatikos) took a break from school work to post some testimonial thoughts. Thanks for the input Kyle! Daniel Dusanjh (Think Christ) comments on the 100th post on his own blog, while offering his own thoughts and article recommendation for us. He also pulled in John Piper on cessationism! Daniel, my brother, you run against the very grain and kernel of Paul's concept of gospel power in Romans 1:16 when you disagree with Piper's assessment. Study the OT understanding of God's divine power as accompanying the message or act of redemption and you will be at least mildly surprised to find out just how right Piper is on this matter. Metal Dad (John Rushing) considers himself a non-dogmatic cessationist who worships at a Vineyard church! What a testimony of Eph. 4:1-3, 29-32! Thanks John for constantly linking to me, and for your regular wave of personal encouragements! Scott McClare (The Crusty Curmudgeon) has written in a recent post, "Just for the record: Insofar as I don't believe that the practices we see in modern Pentecostal and Charismatic churches are the contemporary analogue of the miraculous sign gifts spoken of in the New Testament, I am operationally a cessationist. However, I'm not aware of a convincing theological case for cessationism. So I keep an open mind about the use of the charismatic gifts." Great mindset...except for the part about being a cessationist without having a theological reason to do so. Honestly, though, I admire the humility that saturates this statement! Jonathan (Don't Make Me Turn This Car Around!) prophetically posted before Phil Johnson on the subject of prophecy. I trust he will benefit from this debate/discussion. I'm saddened that my post here hasn't made Chris Giammona's favorite list at A Mind Awake. Of the six categories that get listed, Phil Johnson is listed as "Very Wierd." Whassup with that Phil? Now for my favorite post of the day....John Kilpatrick (the Hired Shepherd) posted on "How Should a Cessationist Deal with Reformed Charismatic Phenomena?" Great post, great thoughts, disagreed with little, well worded, and Phil's last name is actually Johnson, not Johnstone, by the way. 15 year old blogger, Agent Tim, posts "Beyond Tongues: It's All About Love." Does anyone else know of any other 15 year olds out there who could post something like this? Agent Tim, you remind me of myself at 15! Always engaged in deep theological thought while trying to balance basketball and girls on the side. Great stuff young bro! John Schroeder (Blogotional) takes issue with my question about the blood that covers the sins of charismatic mistakes, or even charismaniacs. It was clear that John was 'hearing' me. Thanks, John. However, my first reaction to your reponse to me is that it seems an exegetical or theological stretch to connect Deuteronomy 5:11, and the taking of God's name in vain, to the mistakes and errors that some charismatics commit. I also 'hear' you and 'hear' where you're coming from, your mindset. Together with Matt's (Gaddabout) comment yesterday I would agree with you men that doctrinal heresy which attacks the message or sufficiency of the gospel in Jesus Christ is definitely wrong. And one professing to be a Christian cannot justify such a claim in light of such activities and teachings. However, the proof of their christianity will be seen in the humility they display toward repentance. And if they are not truly converted, their sin can still be covered by the blood. Their false teaching is genuinely no worse than my own sin. I think that's where the rub comes. We categorize sin differently. That's wrong. But that's why some Christians regard homosexuals with homophobia, and why some reformed cessationists regard charismatics with charismaphobia! That's what I'm driving after. Dan Edelen (Cerulean Sanctum) had some kinds words regarding this 'ginormous' (to use a word created by Buddy the Elf) effort. There really is a decent amount of good thinking going on about this issue. Thanks Dan. Next time, make my head smaller. Dave Bish (Blue Fish) says we must "Remember the Sprit-Breathed Word," offering key links to various sermon manuscripts by John Piper on this issue. That was quite a bit of work in and of itself to browse the Online Library of DesiringGod.Org. Thanks Dave. Adrian Warnock responds to Agent Tim as well as Jollyblogger in his brief post earlier today. Jollyblogger turns around and takes me to task personally. No I'm not offended Dave, and you didn't come off as angry at me...just sharpening me. See my thanks to you at the end my post here. Go to A Running and Terribly Disorganized List of Online Resources for the Charismatic Theological Pillow Fight. Chris Giamonna points his readers to this site for up to date info. But one of his commenters solicits Chris for his own viewpoint! Chris Giamonna responds to the solicitation by offering his own thoughts on the problems with charismatic theology, not shying away from a critique of what went on in at least one Sovereign Grace Ministries church. David Wayne (Jollyblogger) posts, The Doctrine of Providence and the Charismatic Debate. He believes that charismatics can tend towards the belief that if God is not working in spectacular ways He must not be working at all. I like what he says, "God is moving at all times, not just when something big happens." My only 'beef' with the argument en toto is that it does not account for the complete historical record of Scripture. For therein we find that since the beginning of time God has worked redemptive acts accompanied by both providence and miracle, and many times both. This is impossible to refute. This is much of the basis of my theological holdings in the charismata. I have no biblical basis for believing that after 4000 plus years of history, God has all of the sudden decided to extend this normal activity for him for another 100 years through the first century of the early church, but stop it all when the apostles die. The OT pattern points to consistency in this area, and the NT does as well, giving us virtually no reason to believe this pattern will stop. Phil Johnson (Pyromaniac) picks upon David's post and offers his own insights. Most valuable is the following statement, corrective indeed to charismaniacs. 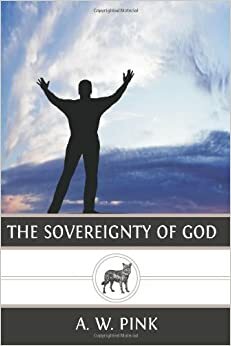 "The faith that sees the hand of God in the natural outworking of divine providence (and understands that God is sovereign over every detail of everything that happens) is not a lesser faith than the kind of belief that can only see God at work when He intervenes in spectacular, supernatural, and miraculous ways." I can't and won't argue with it. I'd simply add what I did above to Dave's argument. Providence and miracles (and many times both) were the pattern of God's involvement in human history up until the cessationists say it ended somewhere at the end of the first century or possibly beginning of the second century. Again, we are both arguing from theological presuppositions, and this can't be a sword drill and battle. Adrian Warnock says this is THE place to catch up on what's going on. Thanks Adrian! John Kilpatrick (the Hired Shepherd), posts a lengthy discussion on "The Perfect" of 1 Corinthians 13. Having perused it, John seems to point in the direction that NT prophecy is related primarily to the preaching of the Word....but again I perused it and definitely encourage all to read it thoroughly as there is much there to interact with. Thanks John for taking the huge amount of time it took to post what you did and offer some very helpful thoughts. Leon and Alicia Jackson point readers to this post as well as to Adrian's site for continued blow by blow's of this pillow fight. Thanks guys! Also be sure to read their insightful posts into John Calvin on cessationism. This couple rightly sees cessationism as a reaction and ideological solution to the insufficiency of Scripture which the Roman Catholic Church purported for hundreds of years. Mick Porter (Unveiled) cites a comment I made at Phil Johnson's blog. He argues with similar reasoning as to the struggle with cessationism. Mick, your comments and thoughts here are considerably valid and thoughtful. Thanks. Pastor Shaun Nolan continues his series on The Gift of Cessationism, Part 2: Miracles and Their Frequency. His arguments are getting better, in my opinion, as compared to his first post. I agree with his assessment that miracles occurred for a purpose. However, I would disagree that across the board cessationism is able to argue at all times for the purpose of those miracles. Unless a text explicitly tells us why a miracle ocurred (as is often the case in Matthew or John), or unless the context points to the purpose, it is a reading into the text to presume a purpose that is not stated clearly. Thus, while miracles have a purpose, we may not necessarily know what they are. Further, Shaun posts again to interact with me on Logic and the Common Pack Mule. I think we are still missing each other, evidently. I don't see the connection between Jesus command to untie a mule and Paul's command for the Corinthian church to desire the spiritual gifts. Shaun sees a connection and makes the point that the command to pursue the gifts is just as culturally non-trascendant as is the command to untie a pack mule. But this is comparing apples and oranges. The one was given to disciples for a specific purpose explained by Jesus. The other was given to a local church for general purposes. The two are clearly different. Brad Hightower (21st Century Reformation) has posted "Now Concerning Spiritual Gifts - Prophecy and King Saul." As I give a simple reading through and a simple thinking through Brad's exegesis and theology on this subject, I find there is little to disagree with. He gives a clear explanation of how King Saul's prophetic words were like those of the believers in Acts 2, as prophesied by Joel....they were not canonical words, but were most definitely ignited and originated by the Spirit for a purpose. Thanks Brad! Rachelle (Notes from a Truth Seeker) is an Emergent Church goer who is saddened by the notes of debate in this current controversy. Her mind is turned instead to loving one another. Thank you Rachelle for the continued pointers in that direction. However, please know that this is an 'in house' debate and none of us love each other any less. We are joined at the hip in Christ. John Schroeder (Blogotional) points readers here for the latest. He also offers his own thoughts on healing and the Spirit's work at his blog. I continue to love you more and more bro! I'd love to have you over and spend a Lord's Day with us! Jeremy Weaver (Doxoblogist) also continues to point readers here. (This may actually end up pointing readers here to see that readers are being pointed here! Thanks Jeremy for the link. I won't spend much time on this list today...I'll update the rest of today's tomorrow. Today is a very unique day in my marriage. We're closing our eleventh year on the eleventh month and the eleventh day (we were married on December 11). We'll never have another day like this in our entire marriage. So we're going out to celebrate tonight at Inoko's Japanese Restaurant for wasabi dares. Adrian responds to the pillow fight with his reasoned arguments concerning prophecy and impressions. While absolutely subjective and infallible, and while we must always compare them with Scripture, charismatics are just as much committed to the primacy of the Word as are cessationists. And it is on that one point that I can't seem to stress enough. In other words, I don't think my cessationist friends are seeing that we really believe that. Instead, I'm afraid they are making the same mistakes Arminians make in countering Calvinists' arguments that God predestinates some to be saved and passes by the rest. They counter that we can't really believe in evangelism or practice it with any sincerity. But this is a straw man. And so is the cessationist argument that charismatics can't really believe in the sufficiency and primacy of Scripture since they also believe in modern prophecy and impressions, dreams, visions, etc. Adrian then posted Questions from a reader for cessationists. Lily (Decompressing Faith) begins her efforts in the pillow fight with a personal testimony of the bonds of marriage - she grew up charismatic and her husband grew up cessationist! What's a couple to do in a situation like this. Read it for yourself. Then read Part Two in which she posts her thoughts on the problems in some charismatic circles. Thanks for the insights Lily! Darel (Darel's Blog) seems correct in my assessment that this is the biggest hyped non-debate ever. He feels 2 or three from each side ought to post....and at one sight I might add. I'd like to be the first to suggest Challies Forum for an event like this. What do you think Tim? Are you willing to host it? Dave Wayne (Jollyblogger) wants someone to give me a brownie....or better yet a whole cake! No thanks...the wasteline on these new Levi's I purchased a month ago are strangely tight! Thanks for pointing folks here though, Dave. It is quite encouraging to see so many folks interacting here and there. My dear e-friend Bob at Gratitude and Hoopla posted a great piece today called "Down Payment." It's worth mentioning here because his encouragement is worth the read. Thanks Bob for giving us your three-cents. Dave Ulrick, The (In)Scrutable Observer offers us the position paper on cessationism available throug his church. William Dicks (Just Thinking...) posts a piece from John Piper's sermon on Ephesians 5:18 in light of the debate. The post of the day has to go to Brad Hightower (21st Century Reformation) who writes on the poisons of the Kansas City Prophets....from first hand experience....and as one who continues to remain a continuationist. (It's a lengthy post, but bear with it and read through it entirely.) Perhaps his most accute statement is this: The bible neither teaches that all the holiness and power was used up in the 1st century and now we should expect little help from God nor does it teach that I need to wait for some end-times super apostle to come with the goods." Upon reading this particular post, I now understand more than ever exactly how Brad understands the gospel. And may I say he has a most profound and intimate grip on it, both theologically and practically. If ever there was one today I'd love to have over to the house to spend a day with, it sounds like it'd be Brad. Thanks for your thoughts bro! Shaun Nolan (Postscript Posthaste) writes part three of The Gift of Cessation: Miraculous Attestation and Scripture. He reasons that the miraculous gifts ceased within two generations of the primary miracle worker. Presumably he argues against my view of the miraculous as attending redemptive works and sermons througout history. Shaun also argues for an interesting view of Joel's prophecy in Acts 2, concluding that the words spoken were meant to describe what would surround the initial outpouring of the Holy Spirit at Pentecost. I once argued along the very same lines as Shaun in the rest of his post. However, I would disagree with the conclusion today. He argues well in all three points of his conclusion, but subjectively, though legitimately, ties together these three conclusions with the center past of the cessationist ship - now that we have a complete Scripture, we need no miraculous gifts. Phil Johnson (Pyromaniac) has posted a review of his previous posts on false prophecies and the damage they have caused not only in the charismatic church but in the church overall. (Pastor Shaun Nolan echoes Phil's sentiments.) His warnings are well-heeded. However, as one coming from the cessationist camp I'd disagree with him on a couple of points. First, the Sola Scriptura point he raises must be seen as what he feels is an application of the original intention of Sola Scriptura, and not the original intention itself. Sola Scriptura was, of course, a battle cry of the Reformation coming out of the RCC who ran its business by tradition instead of Scripture. Their polity supplanted the Word of God in favor of additional man-made traditions. They were, in essence, the Pharisees of the Middle Ages. I see Phil's the application he makes regarding this battle cry. But it must be made clear that this is an application and not what the battle cry originally meant. A failure to do so may cause undue confusion in readers' minds concerning the real historical meaning of this phrase. Second, Phil makes the point that continuationists are incapable of divorcing false prophecies from the problem of cessationism. I presume that by that he means to refer to the inherent and immediate difficulty that accompanies NT prophecy in the local church in the first place. When a prophetic word is given, it may be in error for several reasons. But for cessationism that means that it cannot have been real NT prophecy to begin with. Therein lies the inherent misunderstanding and clear misinterpretation of NT prophecy in the local church....in the first century and today. Texts like 1 Thessalonians 5:19-22 and 1 Corinthians 14:29 make it clear that testing of prophetic words as well as examination and evaluation were necessary because of the necessary human element inherent in every prophetic word. The early church was called on to examine it, test it, evaluate it. There would be no need to evaluate and test and examine if NT prophecy was always infallible as alleged by cessationists. I'm no one to disagree with my dear brother Phil. However, the bramble bush, I suspect, may actually be related to dogmatic cessationism since it especially finds no tap root at all in the NT. Lily at Decompressing Faith has posted Part 3 of her series on Prophecy. Sam Peterson at Plundering the Goods posts today on Sam Storm's Book, Convergence. Like so many other continuationists he asks the simple questions that show how difficult cessationists seem to make things in regards to spiritual gifts. Right AND Blond posts on Cessationism Again. Arguing from The Message by Eugene Peterson, he swings his pillow in this fight. Patrick Ramsey (Patrick's Pensees) posts on Continuationism vs Cessationism offers a summary outline of chapter ten of The Holy Spirit by Sinclair Ferguson. Okay everyone. I've determined the location and venue for our pillow fight. It's going to be tomorrow in London at Dundas Square at 2 PM (EST), rain or shine. There is already a website created for this event. Adrian Warnock is hosting this event for us, and we'll all gather back at his place afterwards for defeathering. As the site instructs us: "Do not hit anyone who does not have a pillow. Do not hit people who are holding cameras. Swing lightly, there will be many people swinging at once! Remove expensive glasses beforehand. Extra pillows may come in handy. Feather pillows are even more fun. Do not begin until the signal (a referee whistle.) Forward this to fun people! Pyjamas optional." (Evidently, those under the Queen's rule don't know how to spell pajamas.). 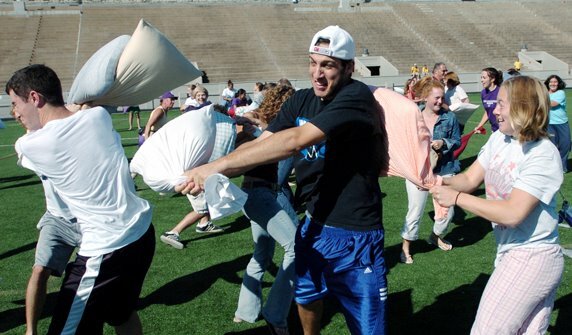 Be sure to check out the pictures from last year's pillow fight, on October 3 and 4. The theological debate there was partial versus full preterism! Can you find Adrian in this picture? He's bashing a dispensationalist who came to the wrong pillow fight. The guy covering his head with his hands thought it was the Left Behind Pillow Fight. Adrian Warnock replies to Phil Johnson in his post today calling out again to cessationists to provide a biblical argument against continuationism. Jacob Hantla also responds to Phil. The responses and comments below the quote are well worth reading also. A newcomer jumps on the bed and grabs a pillow...Jeff McFadden. He posted, This Reformed Charismatic Thing, and as a Sovereign Grace Ministries fellow he affirms most of what Phil Johnson has previously written in an effort to put some charismatics at ease who've somehow managed to get themselves 'all in a wad' about This Reformed Charismatic Thing. The iMonk mentions the debate in passing at A Resting Place. Surprised we haven't heard from him on this yet. But I think we'll see something soon enough. I'll bring Reid Monaghan into the pillow fight with his post about Bible.Org's new book coming out, Whose Afraid of the Holy Spirit? He says he's been a fence-straddler (Word or Spirit versus Word and Spirit focused), and hopes the book will help him in this area. Justin may not like me for this, but I decided to bring him into the debate, if for no other reason than Icerocket brought up his post on a search I did earlier today. Justin Taylor at Between Two Worlds posts a book review published by Bible.org, entitled Whose Afraid of the Holy Spirit? An Investigation into the Ministry of the Spirit of God Today, ed. James Sawyer and Daniel Wallace. "Y" (CodeKillers) has an amazingly strange post today for lovers of Star Wars, Alice in Wonderland, and the Matrix. He connects cessationism to the Dark Side. It's an interesting read...especially for those born after 1964. Other than these posts, the pillow fight in London went well today. Thankfully no one was hurt nor terribly offended. I watched a little footage but couldn't tell the sides apart because they all seemed to be laughing in the spirit. If the video doesn't start when you click the pic, click here instead. Agent Time snuck under the radar of the pillow fight and swings three pillows from three online sources arguing for cessationism. All sources seem to be typical, legitimate, orthodox arguments for the position. However, I'd like to respond to a statement in the first source cited. The third paragraph reads: "It is important to remember the reason for spiritual gifts in the 1st place: They were given as aids to the Christians who otherwise would not have had access to the teachings of Christ, other than whatever they could remember from the teachings of the person who had baptized them. However, this was an incomplete solution, and the Lord knew that. So He set limits on the duration of the gifts: only the Apostles could pass a spiritual gift on to another person. That person could not pass the gift to anyone else (Acts 8:13-24)." I'd submit that this is conjecture. There is nothing in the text that offers this reasoning. The reason spiritual gifts were given is stated clearly in 1 Corinthians 12, Romans 12, Ephesians 4, and 1 Peter 4. In none of these texts is there found the reason cited in this source. Since that is conjecture, the arguments and conclusions that flow from it are also conjecture. For there is no text or context delineating a cessation of these gifts, and there is no text or context that conclusively argues for the fact that only the Apostles could pass a spiritual gift on to another person. The failure in reason is that if only the Apostles could pass along the gifts, then since they are dead, none of the spiritual gifts can be identified or utilized today. The second quotation makes the statement, in the last paragraph: "Although I Corinthians 13:910 reaches that prophecy and knowledge will cease when the “perfect” (i.e., the eternal state) comes, the language of the passage – particularly the middle voice of the Greek verb translated “will cease”- puts tongues in a category apart from these gifts. Paul writes that while prophecy and knowledge will be “done away” (passive voice) by “the perfect,” the gift of tongues “will cease” in and of itself (middle voice) prior to the time that “the perfect” arrives. When did this cessation of tongues take place? The evidence of Scripture and history indicate that tongues ceased in the apostolic age." This is making too much of the grammar. The chapter is teaching on love, and not on the cessation of spiritual gifts. If cessationism were a central component to 1 Corinthians 12-14 one would expect it to be stated a little clearer somewhere else in the context, which it is not. Further, if the grammar is argued in its strictest sense, as here in the quote, tongues have ceased, but prophecy may not necessarily have ceased yet. So cessationism still struggles to stand on both the leg of tongues and prophecy. A better approach here is that Paul is merely using a rhetorical device, using two tenses of Greek verbs to communicate the same thing. His point is not to delineate any cessation of gifts, but to point to "the perfect" and the consequential results of the coming of that perfect (taken to be the Second Coming of Christ by me at least.). Finally, the third quote is problematic in two instances. First, the argument therein is that faith, hope, and love were the things that would abide until the coming of the perfect. These, according to the argument, would abide in the place of tongues and prophecy. Therefore, tongues and prophecy would have to cease before the Second Coming of Christ. But statedly in the quotation is the view that faith, hope and love would cease as well before the Second Coming. The quotation in particular reads: "Since faith and hope will cease at the return of Christ, and these are referred to as gifts that abide, the gifts that will cease (prophecy, knowledge, tongues) MUST cease prior to the return of Christ. This in itself does not say exactly when, but it proves beyond a reasonable doubt that the miraculous gifts must cease PRIOR to the return of Christ, not AT the return of Christ." This is an argument for cessationism? Tim, thanks for continuing to think through all of this with us. I continue to appreciate your youthful scholarship and desire to help us all. It's refreshing. William Dicks (Just Thinking) brings us up to date on his own version of continuationism. While he believes in prophecy today, he says he's never met a real prophet (because he uses the OT understanding of a prophet as the standard). He also doesn't believe in modern day apostles. He lists two links to previous posts on this subject that are good and quick reads from his personal experiences. Brad Hightower gives a little personal testimony on how he came to the charismatic persuasion. He's graciously been allowed to post this over at Theologica, the World Magazine blog. Andrew Wilson (Mendicant of God) quotes Lloyd-Jones in an attempt to call us to start with the Scriptures! Dave Ulrick (The Inscrutable Observer) states that this debate/discussion has caused him great stress this past weekend, and for that reason he'll be "throttling back." I couldn't tell from this post! Peter Epps (Comment Me No Comments) jumps from his dojo in Japan swinging a couch pillow. Thanks for chiming in Peter! John Schroeder (Blogotional) calls this debate the Great Debate that Really Isn't. He says no one took him up on his challenge regarding healing. Is that true? John's got some frustration clearly revealed in this post....and I happen to agree with him. He takes the Pyromaniac to task for repolarizing the discussion (perhaps purposefully to bring all the hub-bub to cease). He offers this as his probable final post on the discussion. Sad since John, in my opinion, is such a careful thinker. Billablog, whose real name I do not know, makes an amazing statement in his recent post on this subject. "It seems to me that the cessationists, rather than giving the direct experience of the Holy Spirit the value given accorded to it by Jesus and Paul, want to relegate it to the equivalent of an online commentary on the scripture." I'd highly recommend his post here. I disagree with a teeny-tiny bit, but agree wholeheartedly with the rest which is why it gets a "2 Thumbs Up!" Ingrid (Slice of Laodicea) post's today on Charismania's Moral Apocalypse. She has not contributed to this discussion....at least knowingly, with this post. She posts about J. Lee Grady's article "It's Getting Really Wierd Out There." Adrian Warnock wants to set the record straight on this debate. Phil Johnson (Pyromaniac) posts again on this subject. His challenge at the end of his post is as follows: "Name one faithful modern prophet whose prognostications are both objectively verifiable and always one-hundred percent accurate. Because that is the biblical standard (Deuteronomy 18:20-22)." Ouch. So much for the testing and examination of NT prophecies as commanded in 1 Thess. 5:19-22 and 1 Cor. 14:29. Just a question here. If all NT prophecies were 100% accurate and objectively verifiable, why did the early church test them? Pastor Shaun Nolan attempts to answer this question at the end of his post by replying that the reason for the testing is because there are false prophets out there. I'll volley the issue back over by asking, "is this found in the context? Is the reason for the testing explained in the context as relating to the presence of false teachers or false prophets? I know they are out there, but Paul is usually pretty explicit about stating why he stating something." The son of a friend of mine (Caleb Kolstad) posts a comment from Jerry Wragg (another friend of mine) at Pyromaniac. There is a massive amount to deal with here from Jerry, and I encourage my charismatic friends to face it squarely. But I remain undaunted by it all because the same type of questions remain for both sides of the argument. And the cross stands squarely in the middle, offering grace and mercy for those who fail to obey explicit commands in the Scriptures, or else fail to obey Spirit-driven implicit commands inherent within those explicit commands of Scriptures. The Bible tells me to love my wife. If I don't do that, then I'm sinning. Further, if there is a specific way that 'comes to mind' about how I should love my wife, and I don't do it, then I'm sinning. My point is that regardless of how a specific application of an explicit, and many times general, command, failure to do that which is right is sin. What's that James says? "To whom who knows to do right and doesn't to it, it is sin." Thanks Jerry for the thoughts here. They are very challenging. Doug McHone (Coffee Swirls), who normally does enter debates, decided to pick up a pillow in this one. He writes on the purpose of miracles, prophecies, and discusses whether or not prophecies can be wrong. He concludes on the cessationist side. David Wayne responds to Adrian Warnock's earlier post with his own: Fallible Prophecy? It's rather lengthy so put on a pot of coffee and be ready to work through David's responses. Jeff Smith (Rusty Hinges) cites Phil Johnson's earlier list of agreements on spiritual gifts, and then concludes for himself that he believes in the continuation of NT spiritual gifts...all of them. Tim Plett (Callmeteem), a regular reader and commenter on my own blog, posts this thought concerning the debate: "Critics--just like that car approaching from the opposite direction--can divert my attention from the road ahead and lead to trouble. Everybody who attempts bold things for God will have critics. Many of them well intended--even godly. But they can't become my focus. And I can let them distract me from following my Lord and fulfilling what I sense His purpose for my life to be.I am open to correction. Indeed I must be humble when criticized. And I must be willing to change under the conviction of the Holy Spirit. I can be wrong. But I can't let critics get me to take my eyes of that call in Christ Jesus." Darel (Darel's Blog) responds to me today with "Dear Rob." In response to my interpretation of 1 Thessalonians 5:19-22 and 1 Corinthians 14:29, in relationship to testing prophetic words, Darel says, "Please, please, please.... do me a favor and read that sentence three or four times until it sinks in. We are asked to test them in order to show that they are 100% accurate. If they aren't ( and we know because we tested, as we were told to do ), then we dismiss them as false prophets." In reply, I'd first remind us of the first three golden rules of interpretation - context, context, context. In light of these rules, there is a conspicuous absence of false prophets or a warning of them in the letter to the Corinthians. We should expect then, that if false prophets are what Paul intends to warn against when he writes 1 Thessalonians 5:19-22, that he would have (1) mentioned false prophets somewhere in the letter, and (2) made a connection between the false prophets and his exhortations in the verses mentioned. Second, with reference to 1 Corinthians 14:29, again I'd ask Darel and others to present the context which would lead us to connect false prophets with the explanation in verse 29. Unless I missed it, it's not there as clearly as Darel and others would like us to believe. Thus, the verses must be taken at face value. The context of 1 Thessalonians leads us to accept it for what it is and not read a warning against false prophets into the text...and the context of 1 Corinthians would lead us to accept it for what it is (an encouragement to prophecy while examining the validity of each prophet word) without reading warnings there either. Barry and Jeremy (With All Your Mind) blog today with A Few Thoughts on the Charismata and Cessationism. They are a few good thoughts, incidentally. Writing from a reformed/charismatic persuasion, they ask some pretty good questions. Brad Hightower (21st Century Reformation) writes today on Charismata - Impressions and Prophecy - Agreement on the Major Issue. According to Brad, here's the major issue: God, by the Holy Spirit, grants His children direct, conscious experiences of Himself. These relational experiences of God amount to impressions from the Holy Spirit and are good for the strengthening, comfort and edification of the believer. He then cites David Wayne (JollyBlogger), John Schroeder (Blogotional), and Adrian Warnock as essentially saying the same thing on this note. Adrian follows Brad's quote by repeating the latter's concerns with the question Do Cessationists Have a Real Relationship with God? David at Gratuitous Advice mentions this post as well as the other one, recommending his readers here. Thanks David! Speaking of David's, David Wayne (JollyBlogger) posts today on The Gift of Prophecy and God's Decretive Will. This post is an attempt to draw non-cessationists to the debate line in an attempt to get them to explain how their view of prophecy jives with the reformed understanding of God's decretive and preceptive wills. Alexander Jordan (Jordan's View) posts on The Need for a Biblically Balanced Approach to the Holy Spirit. According to Alexander, it seems to him that, "God will release His power, not primarily so that we may testify to having "ecstatic" experiences in the Spirit (which after all, are of benefit mostly to the personal walk with God), but so that His name and purposes might be glorified more as we do mighty things for Him, in the power of the Spirit." Matt Self (the Gaddabout) posted today "One Personal Experience With the Prophetic," a post which I've forwarded dozens of times to friends. It is lengthy but worth reading toward the goal of understanding the role of the Holy Spirit in personal guidance. Ilona (truegrit) enters the pillow fight with this excellent observation in Cease With the Cessationism! "For the most part, the belief that God stopped baptizing people in the Holy Spirit with a manifestation of tongues, or physically healing people through the miracles and laying of hands ( such is described in the book of Acts and in the Gospels), is predicated entirely -as far as I see- on the subjective idea that they don't know of the experience today, themselves, and they cannot quantify it or prove it. They want to test its reality, but it defies that.... so the typical response is that Sola Scriptura stance upholds them, and that this is superior. They are in better company because they "go by the book"." This is the first of two bases she puts forward in her side of this debate. Perhaps the greatest post of the day is by my buddy Dan Edelen who posts a Response to "Some Say I Blundered." Dan responds here to Phil Johnson's post, "Some Say I Blundered." In my humble opinion, the greatest paragraph in the post is this one: "Phil's burden of proof for charismatics is to spotlight one modern prophet who is 100% accurate. For the purpose of exceptions, I would like to turn that around on Phil (especially in the light of his post's conclusion above) and have him prove that beginning the day after John died, not a single accurate prophetic word has been uttered by anyone in the rest of Christian history. Now that's a burden of proof! Phil's biggest beef with prophets seems to be that of their predictive role. He's skipping over the prophetic role of exhortation and correction, which it would be hard to claim has passed away. " The point Dan then begins to make is that while Phil may be issuing a challenge with regard to predictive prophecy, it is only with regard to this category and not at all related to the other categories of prophecy, like those named in 1 Corinthians 14:3. The second best paragraph is this one: "In other words, I think that predictive prophetic utterances that are truly of the Lord are rare in the West. But experience does not trump Truth! That our experience of prophecy today is rare does not mean that it is non-existent or rare in places around that world where those who speak predictive prophecy prophesy in obscurity." A great post Dan! Keep it up bro! Adrian starts the roll today by asking, "Has the Holy Spirit Rushed You?" pointing out the various texts in the ESV where the Spirit is said to be 'rushing' on someone. Adrian is making a connection from these texts to the baptism of the Holy Spirit. Shaun Nolan (Postscript Posthaste) posts on Preaching and Prophecy: Tried and True. In arguing against John Schroeder's post (Why Are We Going Around Like This? ), Shaun says in Preaching and Prophecy: Tied and True, that, "The fundamental connection we need to see here, and this is not bias, is that prophecy and preaching are intimately joined together. We need to see that preaching flows from, and is founded upon, the prophetic word. They are not distinct strains. For the two to continue simultaneously once Scripture has been completed is to drive them into battle against one another." He is right that preaching is based on the prophetic word of Scripture. But again, there is a fundamental lack of proving this position. First, where do the Scriptures tie the prophetic word together with the act of preaching? And second, where do the Scriptures relate NT prophecy with OT prophecy (a question needy of an answer since the fundamental claim of the cessationist is that they are inseparably connected)? Toward a little humorous sarcasm in this pillow fight, another reformed/charismatic online buddy, Mark Heath (Word and Spirit), offers us the Cessationist Hymn today. Dawn (Dawn's Deliberations), a continuationist who is fearful of the charismaniacs, points to the great Pyromaniac's recent posts as well as to Dan Edelen's responses in her own post, Cessationism vs. Continuationism. Alexander Jordan (Jordan's View) jumps back into the pillow fight with Faces of Modern Reformers, asking that, "the careful thinking and scholarship that characterizes the men portrayed here in the modern Reformed movement would also be applied to the theology of the Holy Spirit, that the Spirit's work, though always mysterious and never under our control, may not be quenched, either by ignorance or unbelief." David (The Creeping Blog of Terror), in his post today entitled Charismatic Chaos, asks charismatics, "Show me the credentials. Predict some future event which no one with normal knowledge could predict. Otherwise, keep your tongue to yourself." Mike Little (BilloBlog) posts today on Prophecy and Charismatic Gifts. He takes issue with John Schroeder (Blogotional) and his recent post on this debate. There is much personal testimony here which helps elucidate Mike's arguments. Of special note is his conclusion on prophetic words, "sometimes it’s God, and sometimes it’s gas. As far as I can see, we were given one rule for determining whether or not a “prophesy” is true. By the results of that prophesy. And, I think, we can add a little common sense and consistency with what we already know is true." I'd simply add, Mike, that the Scriptures are also a rule for determining whether or not a prophecy is true...in fact, it should be the first rule. We will know prophetic words by their fruits, no doubt. And this is, by far, one of the most neglected rules, it seems, in determining prophetic words. But this rule follows the prophetic word, and the Scriptures must precede it. Still working! Hope to be done by tonight! Rich Tatum blogged today in Charismatic Heresy. 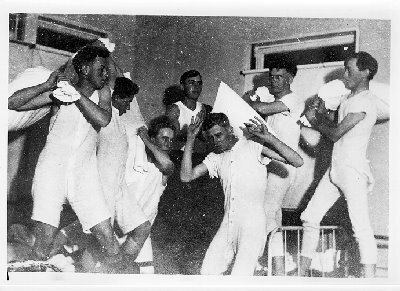 Though he has statedly not wished to enter the pillow fight, I have dragged him into the bedroom because of this insightful statement, a warning to charismatics who can tend to pursue experience over the plain old Bible: "The most immediate means of knowing and loving God we have is bound between leather, and it’s usually gathering dust on the table by the door—where it’s easy to grab on our way to church. Too many of us, in the pew and in the pulpit, don’t bother to read it, much less study it the way it must be studied to truly apprehend it and live by it." He then asks this question: "What happens when we fail to ground our practice (orthopraxy) on a clear understanding of scripture (orthodoxy)?" Following the question is a list of things I myself have personally encoutered. Great stuff here. Thanks, Rich. I didn't spot anything today. Did I miss anyone? Right and Blonde wrote today that she believes all this debate is nuttin' but axe grindin'. Ya'll agree with her? Travis Seitler (The Second Mouse Gets the...Turkey?) enters the pillow fight with his mini-doctrinal statement entitled "Reformed and Charismatic." Chris Hamer-Hodges posted today on The Continuance of the Prophets. He makes note of three passages in Amos: 2:11, 3:7-8, and 7:14-15. His conclusion as follows: "There is certainly no doubt as to whether there was a continuance of prophetic ministries before the canon of prophetic writings were started. Amos makes reference to a whole lineage and company of God's prophetic people that had nothing at all to do with the writing of scripture. It seems clear to me, and to Amos, that God's desire to have a prophetic people is an eternal and continuous thing, that is for the most part independent of the process of inspiration and writing of the word of God." Chris, this seems to be a really powerful argument for the charismatic side. Thanks brother. William Dicks (Just Thinking) posts a lengthy quote from Millard Erickson today in an attempt to help quell seemingly ungodly attitudes of each side toward the other in Attitude in Cessationist Debate. William points to both Phil Johnson and Adrian Warnock as examples of those coming to different conclusions but still loving one another. Great post William! Alex King (Smart Homeschool) posts today on Jumping into the Fray: Perfect Prophets? Taking on Phil Johnson's challenge, Alex argues as follows: "What I’m going to try and prove here is that continuationists don’t need to meet such a challenge...This essentially puts prophecy on the same level as the Bible, in a very scary way. And if it’s the case, then why should prophecy be subjective to scripture? They would both be equally accurate – equally without error. It seems that arguing for error free prophecy is actually arguing against prophecy’s subjectivity to the Word." The cessationist would eat up that argument and claim that Alex is arguing their point for them. However, in so doing they would miss the heart of Alex's argument. Be sure to read the comments as well where I attempt to answer a gal named Ann and her response to Alex. Again, nothing on the debate spotting front. Did I miss anyone? Andrew Cairns (Pasture-ise Me!) couldn't resist picking up a pillow in this fight. He posts A Question for My Cessationist Friends, and concludes a list of questions about God's speaking through specific and general revelation with these words: "Why, then, would we expect that God has all of a sudden (and quite without explanation) limited himself to speaking through general revelation only? " Mark Lauterbach, a minister with the Sovereign Grace Church in San Diego posted today on "How Did I Become a Reformed Continuationist?" 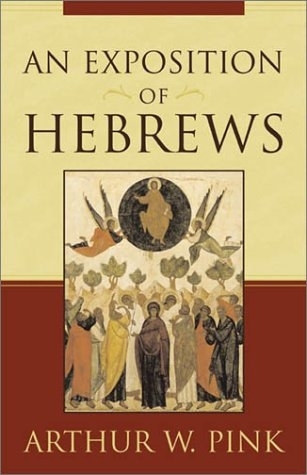 He writes of his own personal testimony of coming to a biblical understanding of the work of the Holy Spirit. He closes with these powerful words, "He is active in the lives of God's people and to be active in the church. We are to desire his filling in our lives each day. I believe we are to honor Him as part of honoring our Great Redeemer." Whether he meant to or not, Daniel (Hi-Speed Soul) is now in the debate with his post A Perspective: The Gifts of the Spirit, in which he gives his personal testimony and thoughts on the subject. If you didn't want to be a part of this, sorry Daniel! Dave Bish (Blue Fish) tells us today that he is a Reformed Anglican Evangelical Charismatic. Thanks for the helpful links bro. Angel (My Walk) enters the room but does not appear to pick up a pillow. He merely announces his own personal testimony on reformed-charismatic theology in his post Reformed & Charismatic. Thanks for your openness and honesty, Angel! Adrian Warnock is hitting a world-wide-web homerun in his question, "What does a Reformed/Charismatic look like in practice?" Vincent Cheung (Reformation Ministries International) posts regarding the deistic implications of the Word of Faith teachings in the charismatic world. Of particular note in this post is the list of resources at the end. BEST POST OF THE WEEK goes a fellow Sovereign Gracer, Ryan Jones, who on the second post of his blog reveals a knack for concise, biblical, and humble communication in his post "What Does a Reformed-Charismatic Look Like?" Thanks bro! I can attest that what he describes is a carbon copy of what takes place at my local church, and seems to be the pattern of every other Sovereign Grace Ministries church also. On the heels of speaking about Sovereign Grace churches comes Chris Giammona, a PCA elder who I've come to respect. He's a humble guy in my estimation, willing to ask the tough questions and sit on uncomfortable answers no matter how much of a tack they feel like. He posts today on the Cessationist/Charismatic Question? Good questions and observations. What Chris essentially does is ask the question Adrian Warnock does (and Chris probably initiated Adrian's post here)The kudos, however, go to Alan Farhi whose comment is well worth reading. SECOND BEST POST OF THE WEEK goes to Baxter's Boy who replies to Adrian's question like this: "My first somewhat tongue-in-cheek reply would be that a reformed charismatic is a "frustrated Christian"." He then writes, "I think my second thought is that a reformed charismatic sees the "irreconcilable" as "destined for each other". " A great post brother! Today Diane (Crossroads), a favorite read of mine, posts on her own journey to the Reformed-Charismatic position. It is short and sweet! Pastor Shaun Nolan (Postscript Posthaste), a writer whom I've come to respect as one who thinks carefully and writes very well, offers his the final post on the Gift of Cessation, Part IV: The Power is in the Gospel." He takes Adrian Warnock to task. Adrian talks about, "experiencing the presence of power of God in a real way today," and rightly though partly assumes Adrian means, "miraculous sign gifts. " But Shaun believes that what Adrian means is, "That is where the power for living is located according to his view." I'd disagree Shaun. Adrian would disagree. He and I both disagree over the usage of the word for. Neither of us believes that the miraculous sign gifts are the location of our power for living. We and all reformed-charismatics would agree with you that the gospel is the center of our spiritual power, the finished work of Christ on the cross and empty tomb on our behalf. But the Spirit, the Comforter, the Helper whom He left behind empowers us through the cross with miraculous sign gifts, as you call them, to accompany that gospel today as continuing evidence of that person and work. And that's where the rub occurs, for as you cite Romans 1:16 as proof that the power of God resides in the gospel, I (we) ask in return for an exegetical explanation of what Paul means by the power of God there. As an Old Testament expert, Paul knew well that the power of God is nothing more and nothing less than what it was in the Old Testament - the providential and/or miraculous display of God's glory and strength accompanying a message or act of redemption. The gospel is both a message and act accompanied by the greatest display of glory and strength in Christ's work, and yet that accompaniment continued on past that finished work into the early church, and we believe continues on til today. Further, there are a number of other things with which I would take issue. You state, "The fruit of the Spirit is not miraculous experience." But how can it be otherwise? It is a fruit of the Spirit and not a fruit of the man. This fruit runs contrary to our human nature, only grown and fertilized by what is supernatural, making that fruit and the experience of it supernatural. I could not disagree more with your statement, "To dwell on miraculous promptings as the “experience of God” today is akin to visiting a restaurant to delight in the menu without ever tasting the meal." Ask any reformed-charismatic and you'll find little if any delighting in the menu without actually eating it. However, I wholeheartedly agree with your statements, "Solid godly character is the real food which the Spirit produces. Holiness is the proof that the Spirit is working. Right living is the experience of God." While my flesh is often tempted to disagree with Shaun so much, humility demands that I honestly state the challenge he issues here: "The “experience of God” today falls far short of what occurred in the New Testament. Were I to look around and find the kind and magnitude of signs and miracles that occurred so readily in Jesus’ ministry, I might be prone to become a continuationist. But even should I do that, I would be misrepresenting my God to suggest that they were where the power lay." Thanks Shaun for the challenging words, bro. Brad Hightower (21st Century Reformation) posts today on The "Charismatic-Reformed" Position and the Third Way of Unity. He writes well when he says, "I contend for clarity sake that it might be best to use other terms. Instead of "charismatic", how about "kingdom". The theology that is needed is a higher view of realized eschatology. Here is the root of the matter. We live in a daily experience of the kingdom. The power of God is available for our righteousness, peace and joy in the Holy Spirit. We are to live in community as a response to the "world". We are to be a new people. It is not only "gifts" that are the issue but all of life that is filled with a new experience. A heavenly quality of life is available and therefore I find the term "kingdom" to best exhort the church to fulness of all our experience." Ilona (True Grit) comes back today with another post, this time asking, "Is the Holy Spirit Baptism and Gifting Still For Today?" She answers the question in a surprisingly different way, not with a theological answer but with the assumption that what God offers in Scriptures He means for His children to use and enjoy. She writes, "I remember years ago when discussing this with a youth pastor's wife in a church which preached 'cessationism'. She made the statement that she didn't feel any need for the gifts or the experience. She felt it was 'extra'. It wouldn't have added to her walk with God, IOW. At that, I was only able to leave her with her insistant stance with my own wonderment that anyone could feel they could "do without" something that God had given....It is my opinion that God is very precise in His economy; everything that He gives, we need, and everthing has a purpose. It just isn't something always apparent to us at the time." Whether he meant to or not, I'm citing Todd (Just Todd) and his quotation today of the International Mission Board (the missional sending agency of the Southern Baptist Church) with regard to a missionary candidate's view on tongues. A recent article written by Tammi Reed Ledbetter (News Editor of the Southern Baptists of Texas Convention) reveals that, "The IMB trustees adopted the personnel criteria after over two years of extensively studying how missionary candidates are evaluated regarding the practice of tongues and baptism. The debate ended Nov. 15 with the majority of trustees approving measures to assist staff in assessing missionary candidates. While a few trustees appealed to the board for latitude regarding claims to a private prayer language and the use of tongues—what theologians term glossolalia—the majority voted by a 50-15 margin to regard those practicing a prayer language or tongues as unqualified for missionary service with the IMB. One trustee cautioned against a ruling that would appear to judge the legitimacy of private prayer language while another insisted that defending subjective, “non-verbal, conceptual” prayer falls outside biblical parameters." First, this is just one of the reasons why I cannot be a Southern Baptist any longer (and am not any longer). I am appalled at this kind of cessationism which takes a stand on mole hills (as they do also with regard to their requirement that any missionary candidate who has been baptized must have been baptized in a Southern Baptist Church else they are not qualified to serve as an IMB missionary). I digress quickly. Sorry. That said, Todd's post is worth a read, especially given his exhortative conclusion. My man Scotty B (Knowing God) posts today on "How Did I Become a Reformed Charismatic? Preliminary Thoughts." We've talked a bit before about our similar experiences, and he writes from this heart: "I have seen example after example of brothers...that can argue you into a pretzel only to win the argument-without any desperation for God." The cessationist will have no quarrel with this statement, for they too long for desperation for God. But it seems to look and feel somewhat different between the two. The cessationist is desperate but seems to either define it differently, look for it differently, or is perhaps fearful of looking for desperation at all. He is prone to falter by leaning heavily on the Scriptures to the absence of the very power it describes and marks for all believers. The continuationist, however, looks for it passionately, is not afraid to look for it in seemingly strange places, and is prone to falter by leaning more on experience and encounter than on the finished work of Christ at the cross. The middle ground is a filling with the Spirit, I believe, yet even in this the definitions will differ. In the end, the Spirit must be the power of God which must drive us both. My seminary buddy and cessationist friend Sean Higgins (SKH Weblog) posts today on "The Sanctifying Communion of the Spirit." 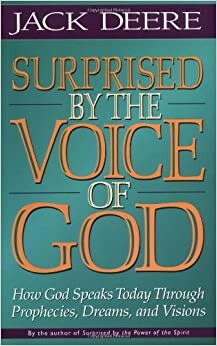 He concludes a lengthy quote by Edwards (Religious Affections) with this thought: "Note that the Holy Spirit is not simply a "still, small voice" but a vigorous, sanctifying influence. If Edwards is correct, we will know that the Spirit is in us not by listening for new revelations but instead by looking for Spirit-produced holiness. So the "communication" of the Spirit today is His sanctifying imprint in our lives rather than impressions in our minds." 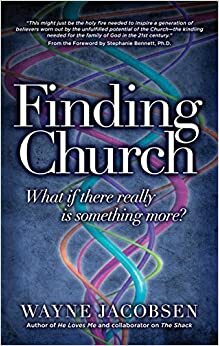 Edwards also wrote this, which is worthy of thought: "What the church has been used to, is not a rule by which we are to judge; because there may be new and extraodinary works of God, and he has heretofore evidently wrought in an extraordinary manner. He has brought to pass new things, strange works; and has wrought in such a manner as to surprise both men and angels. And as God has done thus in times past, so we have no reason to think but that he will do so still. The prophecies of Scripture give us reason to think that God has things to accomplish, which have never yet been seen. No deviation from what has hitherto been usual, let it be never so great, is an argument that a work is not from the Spirit of God, if it be no deviation from his prescribed rule. The Holy Spirit is sovereign in his operation; and we know that he uses a great variety; and we cannot tell how great a variety he may use, within the compass of the rules he himself has fixed. We ought not to limit God where he has not limited himself" (The Distinguishing Marks of a Work of the Spirit of God, Banner of Truth, p. 89). Adrian has commented on Shaun Nolan's post. The former's is entitled "Confessions of an Experiential Cessationist." Adrian truly believes, "Maybe convergance really is more possible in my lifetime than many of us currently believe." I agree. However, the gulf that continues to separate us seems to be mostly that of perception. In reality, cessationists, I believe, are the chief worry-warts, for they perceive the theology you and I hold dearly to as a threat to Sola Scripture. And this is despite all attempts to show the clear differences, relationships and non-relationships between the two. I'm satisfied with knowing we are closer than we are willilng to admit. That's better than nothing! Mark Lauterbach (Sovereign Grace pastor in San Diego) follows up his earlier post on Nov 26 with, "Reformed Continuationist Part 2." In this second installment, Mark continues to bring us along with him on his journey to the charismatic. Thanks Mark for continuing to pave the road of explanation and reflection with clarity. Somehow my Technorati searches missed Chris Daukus (Gospel Musings) and his series of posts on The Ministry of the Holy Spirit. So I've listed them here. Part One, Part Two, Part Three, Part Four, Part Five, Part Six. Baxter's Boy swings again in the provocative post, "This is No Age to Advocate Restraint." In light of the 'Open but Cautious' position on this subject, the Boy believes, "I want to argue that this present age is no time to be cautious. Wise – yes. Cautious – no. The need of the hour is passionate hunger!" Read the post carefully and hear him out. Newton A (Follow the Shepherd) posts Reformed vs. Charismatic: Some Quick Thoughts. His final thoughts may chafe a bit: "Did the Reformed-Charismatics forget the historical Reformed view of the work of the Holy Spirit within the Church and within the believer? Because it is one thing to say that you want a personal experience with God, but it is another thing to say that experience has to be tongues and prophecy." My initial response is that on the one hand the very theology of the H.S. within Reformed theology leaves some 'squirming' room on the issue of experience (Experimental or Experiential Calvinism, for example). There's nothing inherently within Reformed Theology that would dictate against a complimentary charismatic theology. On the other hand, we need to remember that Reformed theology is a reflection of our theology, but not the only reflection. It does not hold the final word on pneumatology. Adrian's post is always the wierdest to me for this reason. I'm posting about his post on November 30 when this date is not yet a reality for me! That's the wierdness of Greenwich Meantime I suppose. Adrian posts (early this morning presumably) on "What Does a Sovereign Grace Church Look Like?" detailing the experiences of some brothers. Scotty B(urness) also takes another swing of the pillow today in his post, "How Did I Become a Reformed Charismatic, Part 1." Thanks for the open, honest, humility bro. Lily (Decompressing Faith) posts today on Prophecy: Part 4. She outlines a point in my reformed theology that brought me to charismatic theology yet also guards the reflection and practice of my charismatic theology. It is God's sovereignty, and while she didn't specifically use that word, her own words point to it clearly. She writes, "I don't believe the charismata can be "used", as we would "use" an umbrella or "use" a pencil sharpener. I believe they are graciously bestowed, as one would receive an unexpected gift or visitor. One appearance (or even many appearances) of a manifestation gift does not ensure continual availability of that gift. I believe the gifts are given at the Father's will. They may or may not manifest at any give time, they are not "on-demand". I also believe they are "gifts". Freely given, freely received. I don't believe you must be more righteous or more holy in order to experience them. And they are not to be "practiced" or "refined". They are given in the timing and intensity the Father so wishes for any given situation." Jacob Hantla (Think About These Things) posted today on Open But Cautious ->Charismatic. 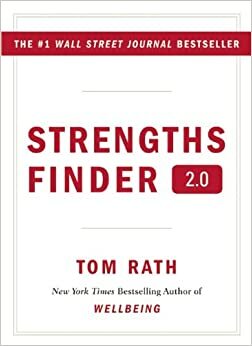 He has found Mark Lauterbach's most recent post very helpful as he sorts all this out. Brad Hightower (21st Century Reformation) swings again in Reformed and Charismatic and the Central Role of Discipleship. I love how he opens the post: "Two things are really difficult pastorally. One is making charismatics out of reformed believers and the other is reforming charismatics. These two groups are so far apart in temperament and priorities that one is tempted to say that the two shall never meet. But with God, all things are possible." John Schroeder (Blogotional) posts A Little More About the Gifts. John opens up personally here by telling us, "I have never personally enjoyed a miraculous manifestation of the Spirit." This would create a new category for us, Open but Waiting. That's the experiential side of John's testimony. The theological side of his testimony is, "I am a continuationist mostly becasue I can't find a reason not to be." Mark Lauterbach (Gospel Driven Life) posts part three of his series Reformed Continuationist. The things in his first point would be reflective of my own experience. And out of his entire post, this paragraph resonated with me the most: "I say all this because this range of experience and pastoral involvement with people forced me to look in the right places. What I began to pursue and seek was "abounding fruit" in godliness, fellowship that was driven by the Gospel and was real, and deep, moving beyond polite and superficial talk, ministry of members to members that was rooted in the work of the Spirit through their gifts and graces, and a deep delight in Jesus the Savior." I also hugely resonate with these words: "I have become more aware of the work of the Spirit through people and how he gifts the, It is as though I see now in technicolor." Important in this post are six reflections of the filling of the Spirit in life and ministry...a must read for all believers. Chris Daukus (Gospel Musings) posts part seven today of The Ministry of the Holy Spirit. In this post he answers the following objection: "Objection: Apostleship is listed among the spiritual gifts. Since the canon is closed and the apostles have passed away, it can be agreed upon that apostolic gift (which gave authority to write Scripture) has ceased." Adrian Warnock posts his thoughts today on the whole SBC/IMB tongues and baptism issue. David Phillips (CrossConnect) also blogs on this subject today asking, Are They Just After Jerry Rankin? I'm sure by now everyone has seen the Google fight results on the number of posts by or about Reformed Charismatics as opposed to those by Reformed Cessationists. If not, view it here. Whether or not he meant to Mark Heath has stirred up a little trouble with his view on Open But Cautious. His re-explanation is helpful: "some who are broadly cessationist will still be open to the possibility of occasional supernatural occurrences of the charismatic gifts, but were they to occur, they would not expect or seek their recurrence afterwards." That's the way most, if not all, of my cessationist friends would view this issue. With you I would agree that in attaching this title to charismatics of the lesser sort, "I believe their caution all but cancels out their openness to the charismatic gifts." Seminary buddy Sean Higgins posted again on Exegeting Edwards. See my response in the comments section. Finally, Ilona at True Grit posted again on this issue, giving us Truth or Dare: Prophecy. It's a great read. Dan (Baxter's Boy) writes the following in his recent post: " have left SGM, don't regret leaving, and have no intention of returning to their fold." Some disturbing words, as one who has just recently come into the fellowship. Perhaps Dan could elucidate either here in the comments section of this post, or else on his own blog about his views on the theological faultiness of their view of the cross, as well as his reasons for leaving. Luke Wood posts What is a Cessationist Anyway? He writes the following which is not without difficulty: "the fact that people receive spiritual gifts backs up (not proves) the argument that the Spirit is indeed still at work today, giving gifts in the same way as he did for the early church. If cessationists are right, why does this happen? But the very factg that it does genuinely happen surely discredits the cessationist argument? Just like a brown-eye gene overrides a blue-eye one?" Your challenge Luke is this reasoning is to prove that the gifts we as charismatics experience are indeed the ones reflected in Scriptures. I think they are, but you'll have to prove the connection to a cessationist to validate your point here. Your overall point, since I see the connection, is quite valid and puts cessationists in a very uncomfortable position. They have to chalk up these experiences to one of three categories: God, psychological misfire of the brain, or the Devil. If they are your friends, they'll likely not blame it on the latter, though they may think it. I love your conclusion by the way: "So, in conclusion, my plea to cessationists and practising cessationists is this: decide what you believe from scripture first, then seek God to back up His Word with power, which he loves to do. My prayer though, is that whatever you settle on, that God would pour out the gifts of His Spirit on you anyway! May you suddenly burst forth in tongues in your prayer time, charismatic or not!!!" Chris Daukus (Gospel Musings) has posted again on The Ministry of the Holy Spirit...this time with part eight. Today he answers the objection, "In 1 Corinthians 14, Paul is speaking in a sarcastic manner regarding tongues. He is not assenting that they have value if uninterpreted; rather, he is saying sarcastically that those who speak in uninterpreted tongues are only building themselves up, not the body." Baxter's Boy, Dan, interacts more with his buddy Mark Heath on the Open But Cautious thing in today's post, Spiritual Gifts in Context (With a Little Help from Mahaney and Owen). Dan's evidently had some negative interaction with SGM of which he used to belong, but his understanding of the gifts is still very much charismatic. 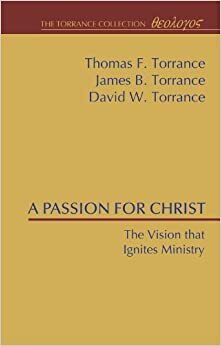 It seems the main thrust of his argumentation is found here: "I still do not want to exalt the gifts to the level that they have, in terms of our discussions and the fact that for some they represent the total "charismatic dimension" of a group of churches." Following the remark is an outline of C.J. Mahaney's sermon entitled "All Gifts from God." Great post here Dan. Thanks. Jeremy ?? (Parableman) posts today on SBC Restriction on Tongues: Hypocrisy? He brings out the realistic reasoning in the decision by the IMB not to admit tongues-speaking persons as qualified missionary candidates. It's hermeneutics at work here. The IMB is evidently cessationist, though the BFM 2000 on which they must base their doctrine, is not explicitly cessationist (that's a clear inconsistency). Jeremy's argument is that harranguing the IMB for this decision when they made it from a cessationist standpoint is not inconsistent with the hermeneutic they stand upon. I agree. But what I disagree with is the silly reasoning for placing such doctrinal restrictions on IMB missionary candidates to begin with. Keep the hermeneutics on legitimately orthodox debatable issues in the classroom and out of the missionary candidacy room. Serve the cause of the gospel together. Mark Lauterbach (Gospel-Driven Life) posted today on Genetic Inbreeding. He speaks of cessationism in this post. The title should be enough to get you into the post to find out what he's talking about. San ?? (Asire2Blog) has posted Great Stuff today. This is a great display of humility and testimony. Thanks San. Did anyone see what Adrian tried to do today? He did my job for me! Whassup Adrian? Tired of me updating every three days instead of every day? So tired that you wanted to do it for me on your post? Thanks bro. A newcomer in the pillow fight, Sven (the World of Sven), posts today on Tongues and Public Worship. The thesis of his argument seems to be (1) that the tongues of Pentecost and 1 Corinthians are completely different, and (2) that since the Corinthian church was in such bad shape, we ought to be leary of what theology on tongues we take from there. The latter is not so much explicitly stated as it is implicit in much of the argumentation. He argues rightly that what is in view with tongues in Acts 2 is "mission and witness. It is an eschatological sign which heralds the good news that the blessings promised by God will no longer be restricted simply to one ethnic group, but that now the Gospel is going to be declared to people of all nations, as Jesus has already instructed the apostles back in Acts 1:8." However, I would raise the point that while many spoke in tongues that day, unless I read the text wrong, the miracle present before the sermon seems to be not so much of Peter speaking in tongues to the crowd, but the miracle of hearing: "we hear them declaring the wonders of God in our own tongues!" Option one here is that in speaking in a tongue, it was not a known language, but some other kind of language which seemed to be able to communicate to many other languages. This is often an option missed by most commentators. Option two here is that Peter is simply speaking to them in his own language, but everyone else around is hearing in their own language. What Sven, I believe, misses, moving further, is that despite his argument that the purpose of tongues in Acts 2 is different from that of tongues in 1 Corinthians 14, it really isn't different at all. He even points to the key text which ties the two together, making tongues a missional, spiritual activity: 1 Corinthians 14:20-25. "Through men of strange tongues and through the lips of foreigners I will speak to this people, but even then they will not listen to me," says the Lord. Tongues, then, are a sign, not for believers but for unbelievers; " If they are for unbelievers in 1 Corinthians 14, who were they for in Acts 2? For unbelievers, obviously, for the result of it all was that first, unbelievers were converted, and second, some unbelievers were evidently confirmed in their unbelief (e.g. Pharisees who later imprisoned Peter, John, and apostles for preaching Christ). 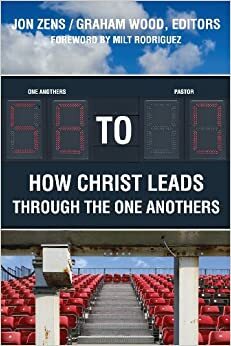 Jonathan Christman (Sweetened Christological Syllabubs) posts today on Progressive Cessationism - A Plea for Objectivity, recommending Dan Wallace's (among other authors) new work Whose Afraid of the Holy Spirit? (Available here). I don't have the book yet, but obviously I'd love to work through it and its arguments. Mark Lauterbach (Gospel-Driven Life) offers a reasoned theological connection between non-cessationism and amillenialism, or realized eschatology. In today's post The Gospel Age and Continuationsm he argues for a realized view of the kingdom in which one foot is on earth and the other in the new kingdom. The gifts, then are a present day experience of what is normal in the new heavens and new earth. This is great stuff. However, one should note that premillenialism also fits with realized eschatological continuationism, and not just the amil view. That's what undoubtedly makes me a stray cat in SGM...perhaps a hangover from my TMS days, but then again, perhaps just good biblical theology. Chris Daukus (Gospel Musings) hits us again with part nine of The Ministry of the Holy Spirit. Statedly Chris sees his efforts this way: "I am seeking to present an exegetical defense for the continuation of the gifts. I want to also demonstrate the relationship between the gifts and gospel." Today he answers this objection: "Tongues are only known languages and private prayer is not a known language. Therefore, private prayer is unbiblical." Travis Seitler (The Second Mouse...) answers those who assert that NT prophecy must be 100% accurate to be biblical. In his own post, Reformed and Charismatic: Prophetic Accuracy, he points us to another post from Ken Silva's ministry Apprising Ministries. The post is entitled, "Be Ye Separate". I'm not sure if this is the exact post Travis wanted to point us to. But there are salient thoughts here, the chief of which is this one: "A somewhat wooden application of a Bible passage or verse, which then leads to a kind of “letterism,” that has come about largely through a reaction to the gross excesses of a supposed freedom in the Spirit to spiritualize verses of Scripture, which we have seen in so much of the Pentecostal and Charismatic camps over the years. However, on the other hand, just because there are those who will misuse the concept of freedom, should we then make all men captive to the state? Of course not, we will try and educate them not to abuse their freedoms." Through applying Hebrews 4:12, 1 Thessalonians 5:21, and other passages, one could make the case that all prophetic words must be objectively held to these texts, and to a historical-grammatical interpretation of the Scriptures overall. Amen. On to some meaty stuff, Tim Challies has posted an interview he had with Sam Waldron on "Tongues! Signs! Wonders!" (My seminary buddy Bret Capranica blogged about it today. And his other post - Fide-O - blogs about it and calls for a poll!) There's really not much more I need to say on this post. It's a must read. If you don't read it you've got issues. This is really meaty stuff here. The first flaw I see in Waldron's position is the cascading argument theory. Does the fact that there are no more Apostles (Big A) really mean that the lesser offices and their corresponding gifts are no longer in operations? That's a logical leap, which without having read the book, would have to have some serious exegetical and contextual breakdancing to conclude such a thing. The absence of the greater thing does not necessitate the absence of the lesser things. If that were true then the absence of Jesus Christ on earth today would necessitate a whole host of assumptions which we would flatly call erroneous today. Second, an unbreakable connection has to be proven to exist between Apostles (big A) and the miraculous gifts...a connection that could not be shared with others. But that is not true either since (1) there were other apostles in the Bible that were not part of the 12, and (2) there are miraculous gifts spoken of that were not worked by the Apostles (big A). 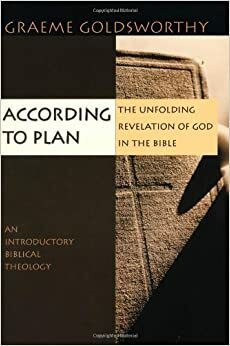 The conclusion of today's post is this: "I think my book would help them to see the problem and reject it root and branch and become more Word-centered and avoid a lot of the misguided practices and the false directions of life and guidance that they're taking in response to the teaching of continuationist prophecy and tongues-speaking." Tim plans to post the remainder of the interview tomorrow. Adrian Warnock puts out this challenge again in his post today: Show me a Single Bible Verse or Passage that Supports Cessationism. Responding to Tim Challies who left a comment on Adrian's blog, he writes, "I am sorry to be quite so provokative but in however many weeks of asking in public on my blog, not ONE blogger that I am aware of has been able to offer ONE argument that even mentioned a bible verse to support cessationism." Adrian also responds to those who are throwing WCF articles at him to prove cessationism. I didn't see this response in Adrian's post, but I go back to my original issue on this point. Are we arguing from confessions or from Scripture? I love the WCF (and I occasionally like an episode or two of WWF), but it is a product of human efforts, providentially guided I believe, but a human production, nonetheless. Reformed confessional cessationists, throw WCF articles at charismatics as if they were cinder blocks. But in all reality they are pebbles. Adrian also posted today on Apostles are Meant for Today. He's hit the central exegetical nerve of the debate on apostles, I believe. I know there's diasgreement, but Ephesians 4 does seem to be the center mast of this argument. All the offices there are given by Christ for the building up of the body of Christ until that body is mature. 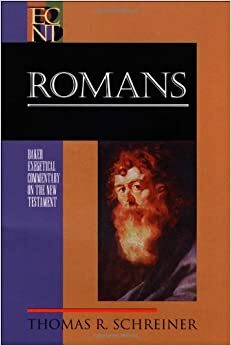 From my view, it rests on the shoulders of cessationists to prove that the apostles in this text are in fact referring to Apostles (big A), and to prove that this group which Paul says is given until there is maturity is no longer functioning toward this end. Bill MacKinnon (Boar's Head Tavern), is not a cessationists and doesn't believe the view is biblically tenable. In today's post he opines on tongues with these words: "I think the Tongues=Man_Speaking_To_God idea is what puts the lie to alot of what is going on in charismatic churches, where the "interpretation" of a tongue ends up being some kind of vaguely generic exhortation from God to the congregation." Adrian Warnock posts today on Healing the Charismatic Rift? It seems Adrian just now found what is only one of the best articles on the net on this subject by Vern Poythress, Modern Spiritual Gifts as Analogous to Apostolic Gifts: Affirming Extraordinary Works of the Spirit within Cessationist Theology. Per Adrian, "I found next to nothing in this article that I disagreed with. If this article is cessationism then I am a cessationist. To me though it seems to be firmly on the charismatic side of the fence since the article argued for a continuation of gifts of the Holy Spirit." I agree, brother. I read it several weeks ago and those are my thoughts as well. Jason Robertson (Fide-O) writes a troubling post today. It seems to be an honest (though perhaps unwittingly so) example of bias and prejudice (concluding on a matter before hearing it). That's troubling. Having already read Sam Waldron's interview with Tim Challies, and not having yet read Grudem's interview he writes, "I look forward to Grudem’s interview that I may learn better how to defend the Scriptures against the continuationist position. (You can hold your comments about close-mindedness. I have been convinced by Scripture and sound reasoning that the cessationist position is accurate, practical, and God-honoring.)" Wow. That's about all I can say. I'd want to be smacked if I said something like that. Proverbs 18 teaches us that it is folly and shame to answer a matter before we hear it. The irritation over a position he disagrees with reveals the error in thinking and acting. But if I know the company with whom Jason hangs like I think I do, we may see an explanation of this reasoning soon. Jabbok (The Irvins) testifies by his personal experience in Tongue Tied that tongues and prophecies are not biblical. His argument is standard among cessationists: "In order to believe this, one must believe that God still communicates to us, today, beyond the scope of the written word. This opens up a whole new can of worms. It detracts from the authority of Scripture alone and drives us into the realm of the subjective. Now we must be constantly mindful of those who seek to give us these messages from God and we must be able to discern between the true and the false. If these messages or utterances are truely words from God which carry the same weight as Scripture, I wonder why no one is writing them down so they can benefit all of Christendom?" Continuationsts have argued and biblically proven over and again how NT prophecy does no more detract from the authority of Scripture than did the prophecies of the early church detract from the authority of the Scriptures they had in their day. The can of worms is opened when the Spirit attempts to move in the same way He did in the early church but His people are closed to it out fear and unreasonable conclusions. Disconcordant Dude wants to tackle this issue when he gets back home. But in the mean time he points people to various locations to get into the debate, including this post. Thanks brother (even though you called me Ron)! Read Cessationism vs. Continuism to get his feed. First on the list today is Tim Challies' latest release of his interview with Sam Waldron. Waldron says, "again it comes back to whether you're really going to honor the Word of God or whether you feel like you need something in addition to the Word of God to guide your life." I don't think cessationists are listening very well to the continuationists, to be honest. It sounds an awful lot like Arminian arguments against Calvinism. The same erroneous assumptions are repeated over and again, though they have been shown to be strawmen. All reformed continuationists believe the Scriptures are today what they were in the early church - the pillar and support of the truth, and the standard by which to judge all prophetic words. A prophetic word can no more be an addition to the Word of God today than it could be in the early church. The plea for sufficiency is unrelated to detailed guidance not found in the Scriptures. In fact, it ignores what the Scriptures say it is sufficient for. If the Bible tells us what it is sufficient for, but then we add to that meaning of sufficiency, whose challenging the sufficiency here? Waldron continues: "I believe that we have to be very Word-centered. If we are going to claim God's guidance in any situation we have to claim on the basis of the revealed precepts and principles of the Word of God. If we pour into the mix all the things that they allow it tends to create the impression that the Word is not enough. It also tends to make people, rather than looking intensely and carefully into the Word to find God's direction for life, it tends to make them not quite as intense about that. And how can you be as intense on the written Word when you believe there is genuine revelation out there besides that? And it seems to me that a cessationist is going to have a more exclusive emphasis on the guidance of the Word of God in his life, its principles and precepts, than a continuationist can easily have." What is found here is another prejudice. It is a conclusion based on a lack of understanding. Not being a continuationist, of course it would appear to him that charismatics are not as intense about looking to God's Word. Does he have to be one to make such a claim? I think the issue rather is that one should be very leary of making such conclusions to begin with. The redemptive words here are "it seems to me." However, it only trickles a little more grease on the fire. He also tackles bad interpretation and exegesis. I applaud him for this. However there is a double standard set when it comes to the example he cites. If the roles of the Holy Spirit in John 14, 15, 16 are exclusively for the Apostles, what are we to do with other texts with only the Apostles in view? Passages like Matthew 28:19-20, Acts 1:8, etc. while all addressed to the Apostles, all of the sudden have no application to the church. Yet within these passages the very foundation of our evangelical and missional work as local churches is founded and grounded. My point is that John 14, 15, and 16 does most certainly carry a wider import of the Spirit's work though it was originally addressed to the Apostles. The inconsistency is seen clear enough when Waldron later writes, " believe that God by His Spirit may lay something on our hearts in a way consistent with the Word of God or bring something to mind that is already an implication or application of Scripture. Of course the Holy Spirit does that as part of applying the Word of God to us." But the truth he cites comes from a passage on the Spirit's work exclusively addressing the Apostles. See the disconnect? His words on Together for the Gospel are encouraging, and his wise words on leadership partnership in the local church are words we would do well to hear and follow. Christian (It's Already Paid For), in today's post Who is the Spirit and What Does He Do? posts this in his conclusion. It's a great statement, worthy of repeating here: "In conclusion, to my charismatic friends, I say: We must not avoid suffering as though it were necessarily evil, for we cannot embrace Christ in his resurrection apart from embracing him in his death. To my cessationist friends: We must not anesthetize our pain by burying our head in the text, as if a semi-gnostic experience of the Bible will somehow solve the riddle of our misery." First on the list today is Tim Challies' interview with Wayne Grudem (Part One). Toward the beginning of the interview, Grudem makes this wonderful statement, "So what is very important is people's day-by-day walk with God and whether that is a vital, personal, ongoing relationship in which people, ordinary Christians, are regularly praying about concerns and events in their lives and getting answers to prayers and knowing the reality of the Holy Spirit's guidance and direction. What's also important is people depending on the Lord in seeking His blessing and empowering in their ministries. So how important is it? Some of the things that go on would be called by other names in more charismatic churches and they probably would be a bit more demonstrative. But the Holy Spirit can work in such a variety of ways." 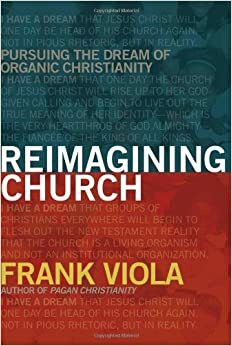 He then writes the following, which for me, is characteristic of what all reformed-charismatics are seeking: "I think that the first century church and the New Testament generally encourages us to seek miraculous workings of the Holy Spirit much more than we do in mainstream Evangelical churches. I think if we did, and if we taught about spiritual gifts that were consistent with Scripture and which put safeguards against abuses, that we would see a much greater explosion of the powerful working of the Holy Spirit in bringing more unbelievers to Christ and in bringing physical and emotional and relational healing to people within our churches and in bringing us to new levels of joy in worship beyond the very positive things that we see today. I would like to see much more, not just openness to, but encouragement of the miraculous works of the Holy Spirit." Moving along, there is interesting dialogue between Grudem and Packer on the standard Puritan view of private revelations. I've held this for a while that cessationists have either hidden this disturbing truth from view as a sort of revisionist history, or failed to see it at all, or have misinterpreted the Puritan view. 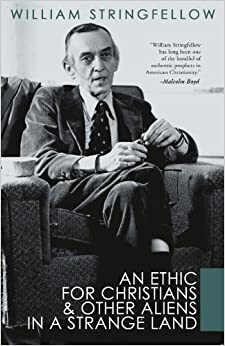 Regardless of which one it is, Grudem is right that, "we have in the twentieth century a historical aberration not essential to Reformed theology that cessationism has become the dominant view." The rest of the interview will be posted tomorrow, Lord willing. Jabbok (The Irvins) shares a personal testimony on why he feels that impressions are bad theology. Read it in "The Slippery Slope of 'I Feel Led'. I feel his frustration. Perhaps this missionary didn't understand the prophetic, or felt too sure of himself on his 'feelings.' However, without having been there or talked to both sides, it would be presumptious of me to assume who was at fault here. I can say, however, that a misled impression or feeling can no more mean charismatic theology is bad theology, than bad preaching can mean all preaching is bad. Freddie Butler (Hip and Thigh) joins the pillow fight, at least for the first time I've noticed. He posts The Cessation of Spiritual Gifts. Freddie seems to think Adrian Warnock's request for one verse pointing to the ceasing of the gifts is not reasonable. He rightly cites examples of how the cults use this same argumentation to conclude, for example, that there is no Trinity. However, where I believe Freddie may be missing Adrian's point is that when the Scriptures issue a command, unless we find a verse negating that command or else replacing it, the command is still in effect. That's a standard rule of interpretation and appliciation found in most hermeneutic books. There is a command to pursue earnestly the spiritual gifts, especially prophecy. And yet there is no single verse in Scripture negating or replacing that command. That's Adrian's point...mine as well. It seems that sometimes the cessationist side, as with every single one of us, have a struggle consistently applying our hermeneutics across the board. Thank God for His grace.